From challenging single-track to pleasant old farm roads, the Warriors' Path trails are a great place for mountain bikers and hikers to enjoy the best of east Tennessee scenic woodlands. From Interstate 81 northbound: Take exit 63 (Tricities Airport exit), turn left. Travel 0.5 miles and turn left onto Pearl Lane. Travel 0.7 miles to STOP sign, turn left onto Rocky Branch Road. Travel 1.3 miles to STOP sign, go straight onto Freeman Road. Travel 0.7 miles – road dead ends at trailhead. The Warriors' Path Mountain Bike Trail system is a cooperative arrangement between Tennessee State Parks (TSP) and the Northeast Tennessee Mountain Bike Association(NTMBA). Members of NTMBA proposed that Warriors' Path would be an ideal location for a mountain bike trail. Park staff and NTMBA members worked together to find a suitable location. 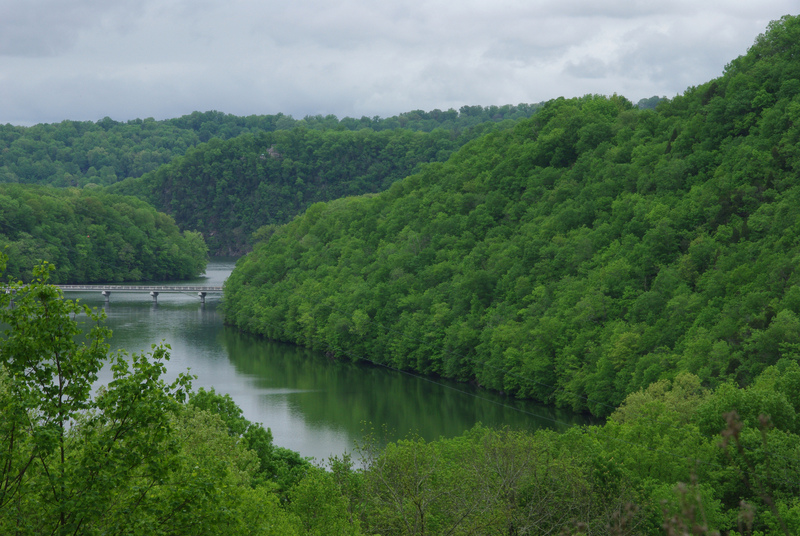 We searched for an area within the park that would offer hikers and cyclist varied terrain, typical East Tennessee scenic beauty, some challenges, but minimal impacts on park resources. The groups worked together over several years to develop a system of trails that continue to be the most popular mountain biking area in our region, and also very popular with hikers, dog walkers, etc. The two groups also continue to work together to insure that the trails remain safe, and do not cause any deleterious impacts on park's natural or cultural resources. Most of the trail development was completed by volunteer labor, and volunteers continue to carry out the majority of trail maintenance work. The trail system is very close to all the urban centers in Northeast Tennessee, and so gets significant use year-round. It is also a significant part of the park's interpretive program – offering year-round opportunities to share nature discovery and remnants of local history with park visitors. 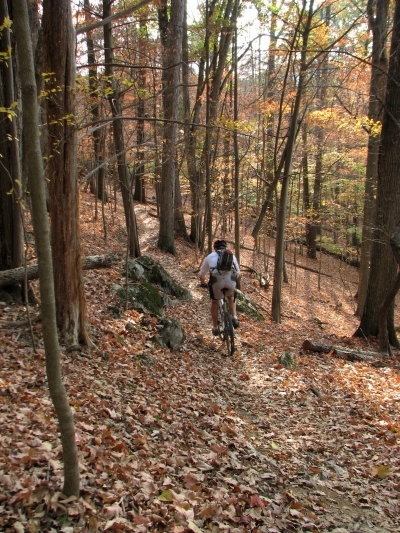 Mountain biker on trail. 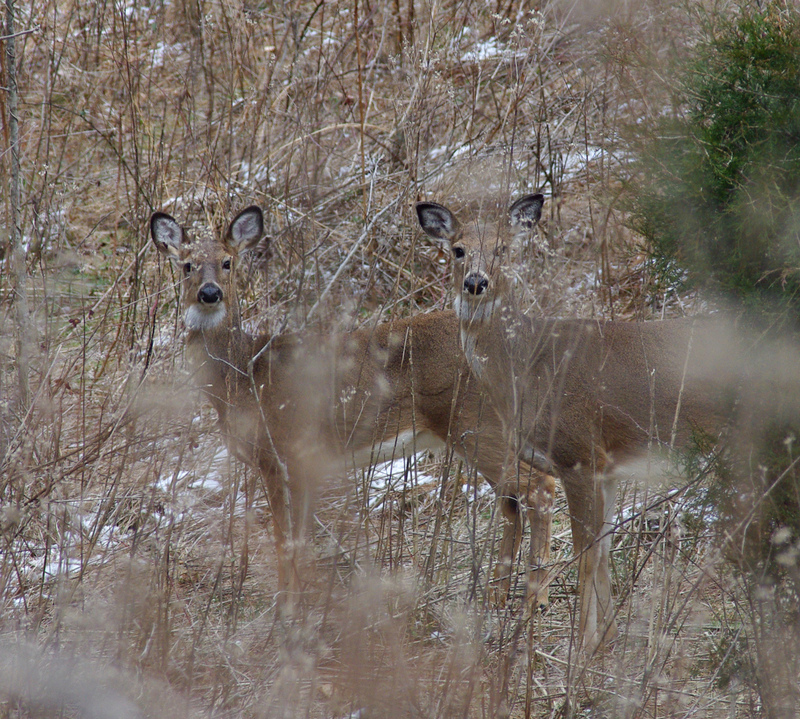 Photo by Warriors' Path State Park. Summer view from trail. Photo by Warriors' Path State Park. 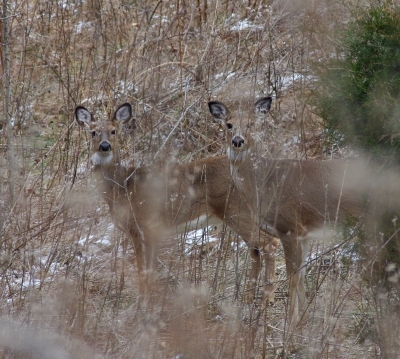 Deer on trail. Photo by Warriors' Path State Park. 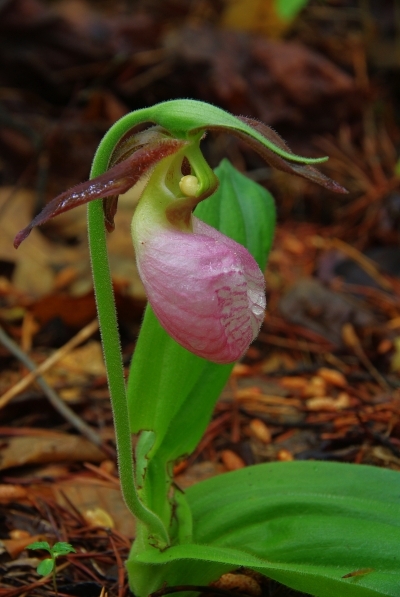 Pink Lady Slipper Orchid. Photo by Warriors' Path State Park.